The Turkey Vulture, Cathartes aura, is a large carrion feeding raptor. An adult bird has an average length of 30 inches (76.2 cm), a wingspan of 70 inches (177.8 cm), and a weight of 3.5 pounds (1.58 kg). The bird has dark brown to black plumage, a featherless red head, and a short, hooked, yellow-white beak. The trailing edge of the underside of the wings is silver to gray. While in flight the bird holds its wings in a shallow V and often rocks from side to side. It flaps its wings infrequently, and uses rising thermals to stay in the air. It is often seen standing with its wings spread. The is believed to have several functions such as warming its body, drying its wings, and using sunlight to kill off bacteria. A group of vultures circling in the air is called a "Kettle." The above photo was taken in the Niagara River Gorge south of Lewiston, New York on September 07, 2009. 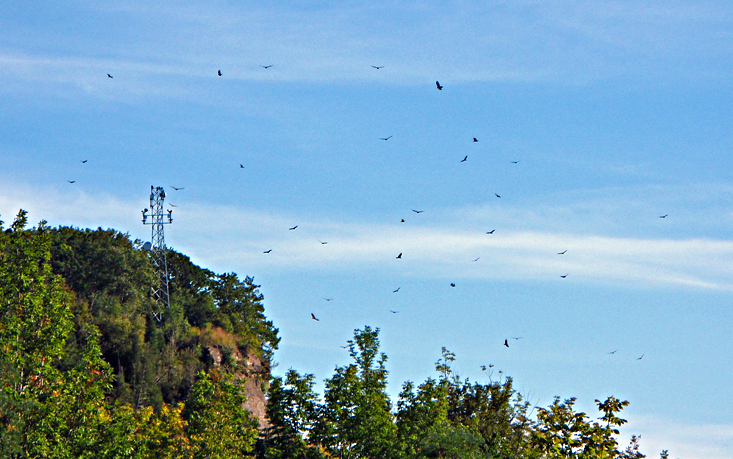 Roughly 25 vultures can be seen in the photo (a few are gulls). The vultures were using the tower on the left side of the photo as a resting spot. 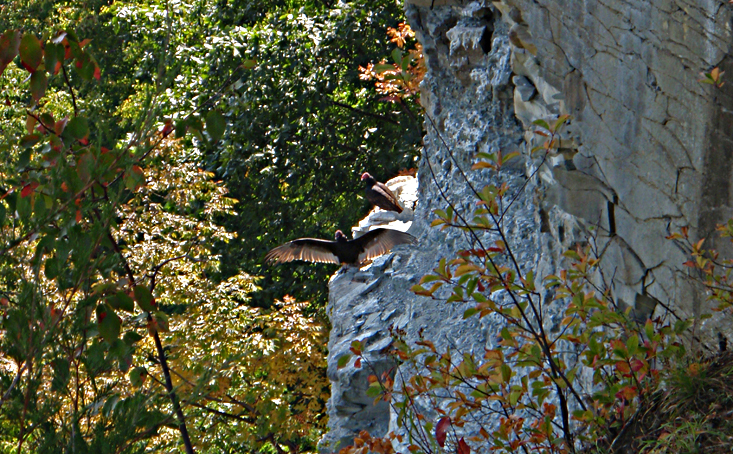 Two Turkey Vultures soaring in the Genesee River Gorge in Letchworth State Park. Photo taken from the Archery Field Overlook on September 21, 2009. A vulture in a spread-winged stance. This is called the "Horaltic Pose." 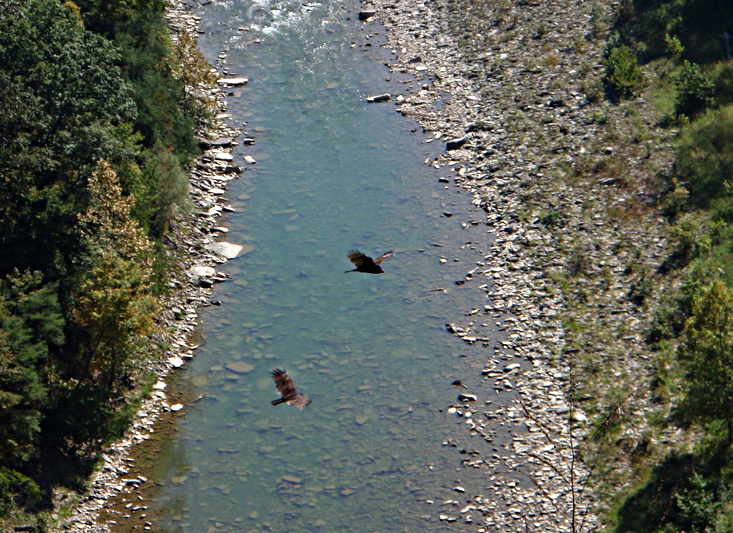 Photo taken from the Archery Field Overlook on September 21, 2009 in Letchworth State Park.